You can request for modifications at no extra cost. For Every 2 Orders, You Get 1 For Free. I am a fluent English Speaker and Writer. I have over 5 years of writing experience. For more diverse packages, kindly revert to my other service. If you wish to order in bulk kindly inform me. I anticipate working with you and giving you the best quality substance I can deliver. In the event of any inquiries kindly Inbox me. 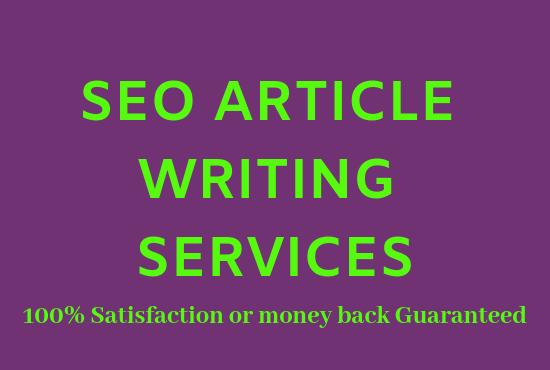 Do 1000 words SEO article writing, blog writing, content writing is ranked 5 out of 5. Based on 2 user reviews.